Extra long doormat for French doors, sliding doors and bifolds. 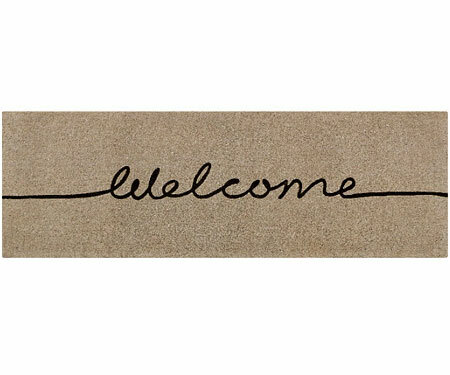 This classic design of elegant handwritten 'welcome' is printed in black on a subtle, mushroomy grey taupe colour natural 100% coir doormat. Extra long at 120cm long by 40cm wide by 4cm deep, this doormat is ideal for patio doors or French doors where the opening is wide. *Note: These are bulky items and need to go by courier. We will contact you if additional bulky item shipping applies to your postcode.